Time for some spring skirts! 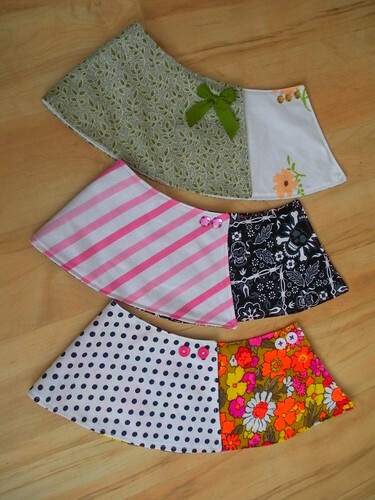 There's a great pattern HERE for these reversible wrap skirts. This pattern is very user friendly. I would recommend trimming a bit by the corners before turning things right side out and a bit of pressing/ironing helps if you plan to topstitch all the way around. I also noticed that our Molly and Samantha (both Pleasant Company) could have used about an extra inch around the waist. 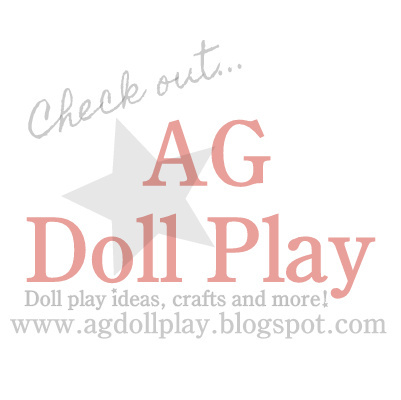 So you may want to measure your doll and adjust your pattern before cutting into any special fabric. I also added buttons, ribbon or gems to both sides of my skirts for a little extra pizzaz. I love how they turned out and I know I'll be making more real soon! I have made this skirt so many times. It is so easy and cute. I love your embellishments, very cute touch. I knew that was the same pattern!! I love what you did with it and how Misty made hers as well...so fun! I agree Denesia! Thanks for commenting!